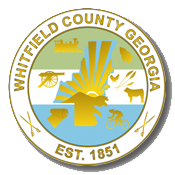 The mission of the Public Works department is to provide infrastructure and quality of life related services to residents and visitors of Whitfield County. The Public Works Department accomplishes this mission through its six divisions: Paving/Pavement Management, Right Of Way Maintenance (potholes, guardrail, and tiles), Sign and Signal Maintenance, Right Of Way Mowing and Tree Maintenance, Parks Division, and Fleet Services. This mission will be driven by the values of:.